Make a personalized thank you tag with this template for free. 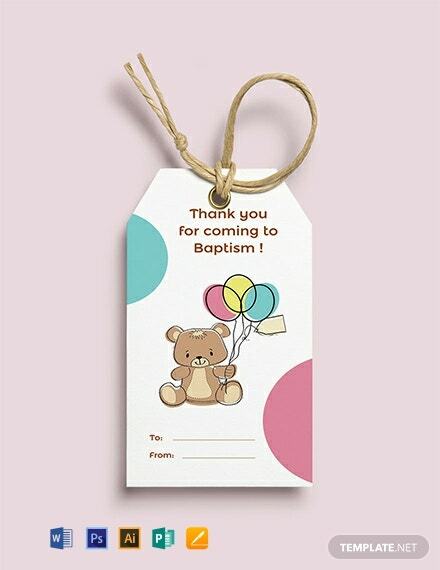 This tag is perfect for your upcoming baptism to appreciate those who came. This template is printable and easy to edit.